With fire season upon us in BC, ecologist Bob Gray is working to fireproof the community of Cranbrook with increased logging. 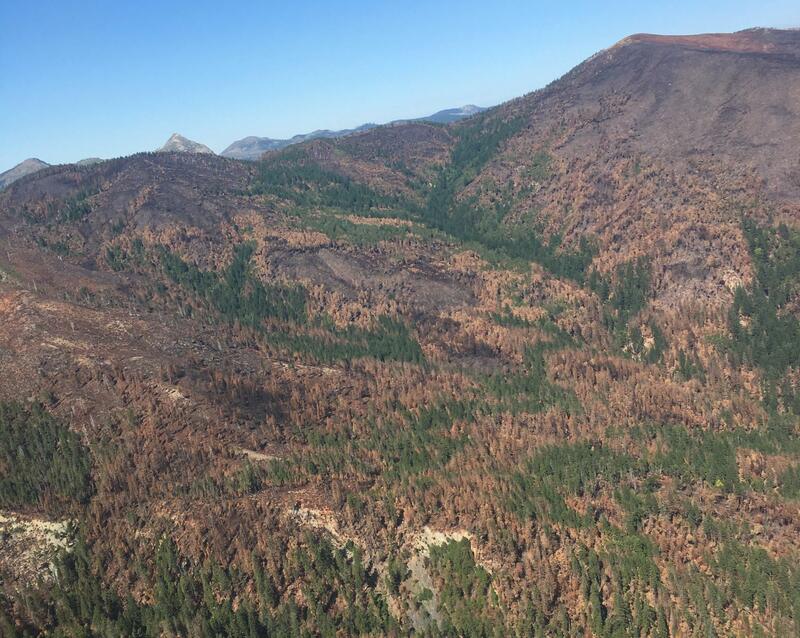 In the post-wildfire areas of the Rogue River-Siskiyou National Forest, officials reduced salvage-log volumes—timber interests warn this will increase carbon release while conservation groups accuse industry of an “old-growth grab“. Drought in a rainforest? According to the Weather Network it’s happening in Alaska. And climate change might be helping speed natural regrowth in eastern US forests where a new study suggests increased temperatures increase the pace of reforestation. Did you know that fitting your new car with real wood trim can boost the price tag and the weight of your vehicle? Korea suggests you put a cork in it – literally! 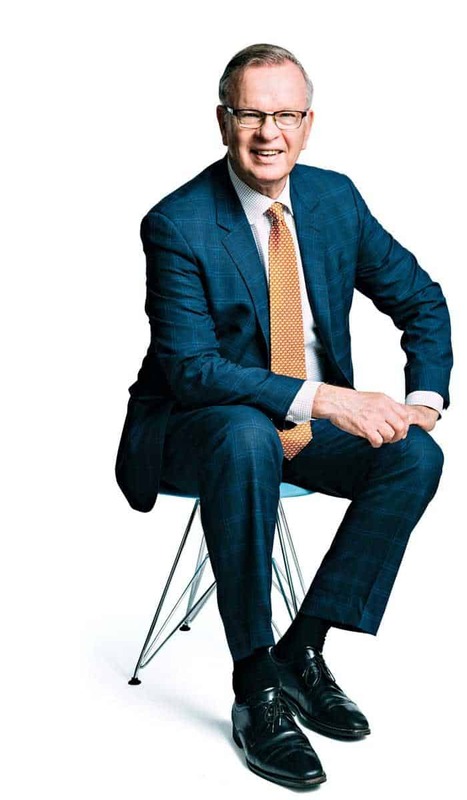 Bruce Ralston… as head of the new ministry of jobs, trade and technology, the NDP stalwart is charged with bringing together three files that the previous BC Liberal government allocated to separate cabinet posts. …On job creation, what are you doing differently from the previous administration? …The previous government focused on the LNG sector…we’re looking more broadly at the whole of the economy and every region. …As the U.S. turns inward, what must B.C. do to ensure that it has a global market? There was some effort done by the previous government in terms of diversifying on the lumber file, developing the Chinese market. And that work has certainly continued. 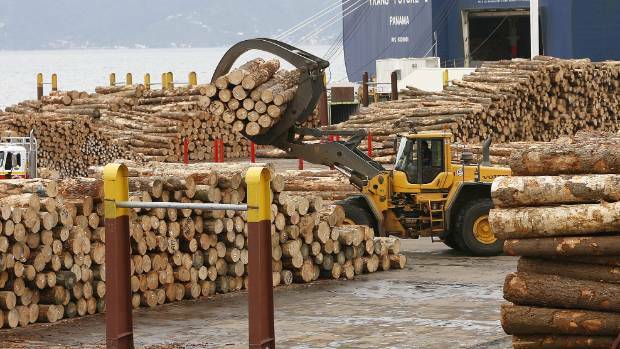 …What’s your outlook on the softwood lumber file? …So I think ultimately, our cause is just. We will prevail. The Williams Lake Fire Department attended a small fire at Tolko’s Soda Creek mill earlier this afternoon, April 17. “They were doing some welding and a spark got away and caught fire,” said Deputy Fire Chief Rob Warnock. “By the time we got there, their guys had done a great job. They had pulled the wall apart and we were able to get to it with the assistance of their crews.” The fire department was called to the scene just after 1 p.m. said Warnock, and two apparatus and about 13 fire department members attended. It took about 45 minutes to get the fire under control, he said, adding that Tolko crews were an asset. 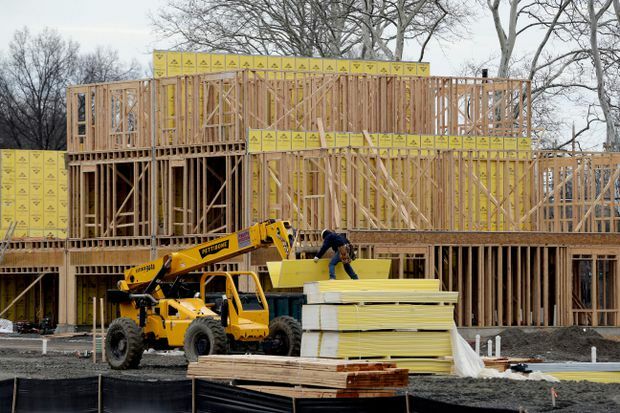 U.S. home building increased more than expected in March amid a rebound in the construction of multi-family housing units, but weakness in the single-family segment suggested the housing market was slowing. Housing starts rose 1.9 per cent to a seasonally adjusted annual rate of 1.319 million units, the Commerce Department said on Tuesday. Data for February was revised up to show groundbreaking declining to a 1.295 million-unit pace instead of the previously reported 1.236 million units. U.S. financial markets were little moved by the data. Despite the rebound in home building last month, activity appears to be slowing. Single-family home building, which accounts for the largest share of the housing market, fell 3.7 per cent to a rate of 867,000 units in March. Aspen Wall Wood is interested in purchasing the remaining assets of the Western Excelsior mill facility in Mancos, officials from both companies announced during a Montezuma County commissioners meeting on April 9. Aspen Wall Wood owner David Sitton said there is a preliminary buy-sell agreement, and the company is seeking financing to close the deal. “We are looking to restart the Mancos mill and rehire some folks,” Sitton said. Western Excelsior’s mill operation was destroyed by a fire in May 2017, but its large aspen log inventory and some wood processing equipment were spared. If the deal goes through, the Mancos mill would become Aspen Wood Products, a sister company to Aspen Wall Wood, of Dolores. A fire at that burned millions of board feet of wood at the lumber mill in Saratoga is likely to continue to burn for a few more days. Officials say the fire broke out Monday afternoon, and nearby neighborhoods were evacuated as as multiple fire crews battled the blaze in high winds. …. Mayor Glode and other officials say the fire, the cause of which has not been named, has burned some six million board feet of boards and logs stockpiled on the east side of the property, and the fire has been contained to that saw mill property. There have been no injuries, and no loss to the mill itself or other property. Although very high winds were forecast, officials say the immediate area of the fire escaped the worst of those winds. DETROIT – Real wood is one of the hottest interior trim materials for luxury vehicles. It brings beauty, warmth and authenticity to any cabin and drivers and passengers love the way it looks and feels. The downside is the real thing is heavy, raises durability issues and is very costly. Even modest amounts of real wood trim can cost an automaker $1,000 or more per vehicle. Korean supplier Seoyon says it has the answer: cork. It is soft and natural to the touch, available in a variety of attractive patterns and half the cost of real wood trim. Some of the patterns look like cork, others look like wood. A thin layer of non-woven fabric provides the pattern and a clear-coat top layer provides durability. The ever-increasing range of engineered wood products and systems is generating global interest and drive for greater innovation in new on-site and prefabricated building solutions. At the same time, more people are realising the benefits of timber construction for multi-storey buildings, causing a resurgence in its use. … There is currently a growing list of multi-storey heavy timber and timber hybrid buildings being constructed in Australia and across the globe. These buildings are pushing the boundaries of technology, utilising engineered timber products and timber composite structural systems. For example, the 9-storey Stadthaus Building in Hackney, built in the UK in 2009 has been the first major high-rise residential building to be built from pre-fabricated load-bearing walls and floor cross-laminated timber panels (CLT). The stair and lift cores have been also entirely built in CLT. An application to decide whether grounds exist for a reassessment of the controversial timber and log fumigant methyl bromide has been approved by an Environmental Protection Authority decision-making committee. Methyl Bromide, an extremely toxic and ozone-depleting substance, is used to disinfest logs and timber products destined for export as part of quarantine and pre-shipment importing requirements. …New Zealand’s use of the fumigant has increased from over 400 tonnes a year in 2010 to more than 600 tonnes in 2016,” says Dr Fiona Thomson-Carter, General Manager of the EPA’s Hazardous Substances Group. “A significant change in quantity imported and manufactured is one of the criteria under which an applicant can apply for grounds for reassessment under the Hazardous Substances and New Organisms Act. Cranbrook, B.C., is highly susceptible to wildfires, and, after widespread evacuations last summer in the region, the city is looking at how to fireproof the community. The city has hired fire ecologist Bob Gray to look at the different options and evaluate the cost of creating a buffer zone. The main area Gray is looking to is 33,000 hectares of Crown land about 25 kilometres to the southwest and 15 kilometres to the south, where, he says, the main fire risk is likely to come from. Logging that area would bring in some revenue but still lead to about a $28 million net loss — even with $80 million to $90 million from selling the material. An upfront prevention investment is far better than catastrophic economic losses afterwards, Gray said. A recent count of the South Selkirk caribou herd has revealed that there are only three females left, and environmentalists are now scrambling to consider a response. “It’s devastating that we’ve nearly lost the South Selkirk caribou herd,” John Bergenske, Wildsight’s Conservation Director, said on Thursday, “but what’s worse is that unless we take immediate action to protect all critical mountain caribou habitat, the South Purcells and other southern herds won’t be far behind.” …“We’ve known for decades that logging, road-building and uncontrolled recreation in mountain caribou habitat are slowly killing off our caribou herds,” Eddie Petryshen, Wildsight’s Conservation Coordinator, said in a press release. ..Fewer than 250 mountain caribou remain in the Kootenay and Columbia area, mostly found in herds around Revelstoke, and only thirteen caribou were found in the South Purcells herd census last year. The potentially costly impasse between City of Powell River and the Agricultural Land Commission (ALC) over the looped road serving Timberland Estates is just the latest in a series of conflicts. …The history of the city’s requests for removal of land from the ALR goes back to 1994 when MacMillan Bloedel, supported by the city, sought to have 277 acres of its land excluded. …Then, in 2006, came the request from PRSC, the land development partnership established by Catalyst Paper Corporation, the city and Tla’amin Nation, for the removal of 605 acres to accommodate the Yrainucep development. The ALC turned that request down… It would be reasonable to expect two major ALC rejections and the reasons for them would have raised red flags for the city and PRSC. SAN FRANCISCO—Coast redwoods and giant sequoia are two of California’s iconic symbols and greatest natural treasures, and the work to save them is only just beginning. Save the Redwoods League, the San Francisco-based nonprofit that helped launch the conservation movement in the U.S. 100 years ago, today released its first-ever State of Redwoods Conservation Report, detailing today’s most pressing challenges for these forests and their plan for action. Among the findings in the report: coast redwood and giant sequoia ecosystems require significant, science-driven intervention and restoration given the impacts of clearcutting, human development, climate change, and altered fire regimes, which threaten forests across public and private land. Given the extraordinary value of redwood and sequoia forests in sequestering carbon, cleaning our water, providing resilient habitat, scenic beauty and inspiration, the degraded state of these forests must be addressed. PHOENIX — Firefighters continued working Tuesday to contain a wildfire that has burned through more than 6,200 acres in eastern Arizona. The Rattlesnake Fire had grown to 6,690 acres and has spread to the Fort Apache Indian Reservation, Apache-Sitreaves National Forest and San Carlos Apache Reservation. It was about 5 percent contained. According to InciWeb, firefighters were conducting burnout operations north of the fire, which broke out around 1:30 p.m. on April 11. Air support was used Saturday for the first time to try and extinguish the flames. There were also more than 260 firefighters on the ground. Several roads around the area, including the Y79 road at the Y40 Junction and the 25F road at the Y40 junction, were closed due to the wildfire. An out-of-season bushfire raged through Sydney’s southwest at the weekend, burning more than 2,400 hectares and threatening homes. As the fire season extends and heatwaves become more frequent, it’s vital to preserve our natural protections. My research, recently released in the journal Austral Ecology, contradict one of the central assumptions in Australian fire management—that forest accumulate fuel over time and become increasingly flammable. 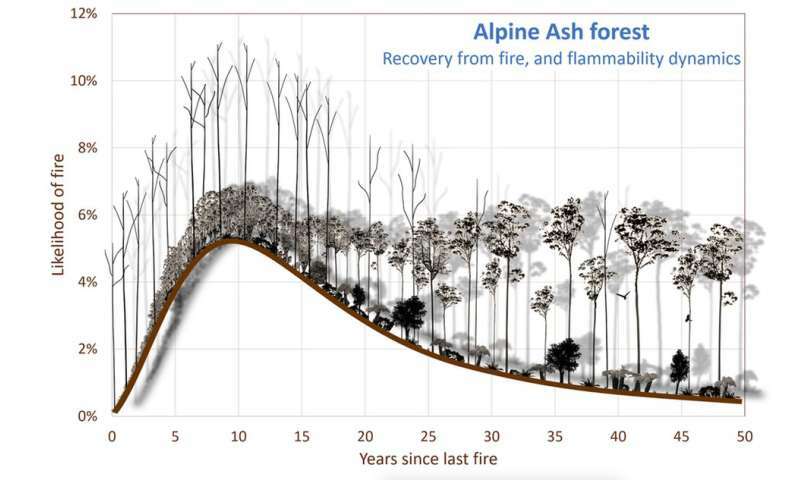 I looked at every fire in every forest in the Australian Alps National Parks and found that mature forests are dramatically less likely to burn. Perhaps surprisingly, once a forest is several decades old it becomes one of our best defences against large bushfires. Within decades of the first graziers taking land in the Australian Alps, observers noticed that English-style management had unintended consequences for an Australian landscape. WARSAW, Poland — The European Union’s top court ruled on Tuesday that Poland violated environmental laws with its massive felling of trees in one of Europe’s last pristine forests. The ruling by the European Court of Justice said that, in increasing logging in the Bialowieza Forest in 2016-17, Poland failed to fulfil its obligations under EU directives to protect natural sites of special importance. Poland’s environment minister at the time, Jan Szyszko, argued that felling the trees was necessary to fight the spread of bark beetle infestation. Heavy machines were used in the process, causing additional damage to the forest. Poland’s conservative government is involved in a number of disputes with the EU, including one over changes to the judicial system — an argument that has led Brussels to trigger a process that could lead to punitive measures against Warsaw. Rainforest and drought don’t seem like words that should go together, but that’s what’s been happening this spring in Alaska. After a winter of below-average snowfall, and a dry autumn and early spring, the entire Alaska Panhandle is sitting at drought stage, with moderate drought still being reported south of Frederik Sound through the start of April. While drought conditions have improved somewhat through March for much of the state, the Alaska Panhandle – stretching south along the coast of British Columbia – remains classified as ‘abnormally dry’ to ‘moderate drought conditions’. The majority of this region of Southeast Alaska is covered by the Tongass National Forest, the largest national forest in the country, which is, itself, part of the Pacific temperate rainforest. Warming climate could speed the natural regrowth of forests on undeveloped or abandoned land in the eastern United States, according to a new study. Previous research has shown that the succession from field to forest can happen decades sooner in the southeastern US than in the Northeast. But it wasn’t obvious why. A new study points to temperature as the major factor influencing the pace of reforestation. …Now, a study published Proceedings of the National Academy of Sciences points to temperature as the major factor influencing the pace at which trees take over. The results suggest that as temperatures rise, faster-growing forests on lands that humans have left idle could play a bigger role in removing carbon dioxide from the atmosphere, say researchers from Duke University and Syracuse University. CO2 emitted by transport, farming, buildings and waste must be cut by 30% across the EU; CO2 emitted and absorbed by forestry and land use must balance out, by 2030. These are the aims of two draft EU laws adopted on Tuesday. EU targets are to be turned into binding national targets for sectors which are not covered by the current EU Emissions Trading Scheme. …Parliament also adopted a separate law, aiming to cut greenhouse gas emissions from land-use and forestry and boost the level of emissions absorbed by forests as a way to tackle climate change. …The proposed law would lay down rules under which EU countries have to ensure that deforestation is balanced by planting new trees, and sets measures to develop the sector in order to boost CO2 absorption by forests, croplands and grasslands. The United Nations Food and Agriculture Organization (FAO) alerted today on the risks agricultural and forestry workers are exposed to. In the document ‘Heat administration for agricultural workers’ and ‘Report and Analysis of Accidents in the Forestry Work’, the specialized organism calls on governments and the private sector to improve labor security in those sectors where ‘extenuating tasks are done, considered the most dangerous to health’. The first document calls attention on the increase in mortality rates due to heat-related illnesses. … The analysis of accidents in silviculture also calls to adopt a system of standardized reports so the interested parties and authorities may better identify prevention efforts.